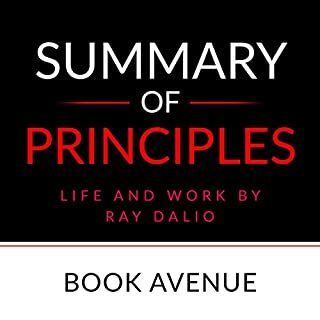 Listen to the audio summary of Principles by Ray Dalio, and discover a blueprint for finding your own goals and paths to success. 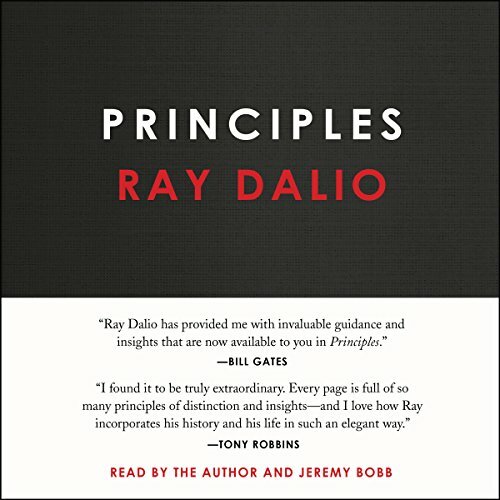 In his book, Ray Dalio shares the unconventional principles he's developed, refined, and used over the past 40 years to create unique results in both life and business - and which any person or organization can adopt to help achieve his or her goals. 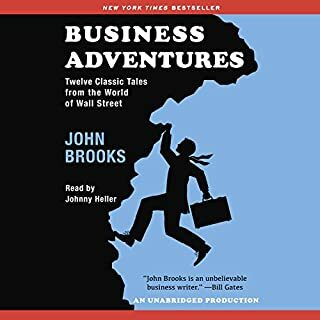 This audiobook summary allows you to skip to the nuggets of wisdom and actionable content in a very easily absorbed way, including key takeaways at the end of each chapter. What do the $350 million Ford Motor Company disaster known as the Edsel, the fast and incredible rise of Xerox, and the unbelievable scandals at General Electric and Texas Gulf Sulphur have in common? Each is an example of how an iconic company was defined by a particular moment of fame or notoriety; these notable and fascinating accounts are as relevant today to understanding the intricacies of corporate life as they were when the events happened. Big Debt Crises (2018) by Ray Dalio is an economic primer based on the proprietary decision-making system used at the author’s hugely successful hedge fund, Bridgewater Associates. Financial crises across history tend to share certain features....Listen to this in-depth summary by Swift Reads to learn more. For me, all value was heard in the "sample"
In 1975, Ray Dalio founded an investment firm, Bridgewater Associates, out of his two-bedroom apartment in New York City. Forty years later, Bridgewater has made more money for its clients than any other hedge fund in history and has grown into the fifth most important private company in the United States, according to Fortune magazine. Dalio himself has been named to Time magazine's list of the 100 most influential people in the world. Along the way, Dalio discovered a set of unique principles that have led to Bridgewater's exceptionally effective culture, which he describes as "an idea meritocracy that strives to achieve meaningful work and meaningful relationships through radical transparency". It is these principles, and not anything special about Dalio - who grew up an ordinary kid in a middle-class Long Island neighborhood - that he believes are the reason behind his success. In Principles, Dalio shares what he's learned over the course of his remarkable career. He argues that life, management, economics, and investing can all be systemized into rules and understood like machines. The book's hundreds of practical lessons, which are built around his cornerstones of "radical truth" and "radical transparency", include Dalio laying out the most effective ways for individuals and organizations to make decisions, approach challenges, and build strong teams. He also describes the innovative tools the firm uses to bring an idea meritocracy to life, such as creating "baseball cards" for all employees that distill their strengths and weaknesses and employing computerized decision-making systems to make believability-weighted decisions. While the book brims with novel ideas for organizations and institutions, Principles also offers a clear, straightforward approach to decision making that Dalio believes anyone can apply, no matter what they're seeking to achieve. Here, from a man who has been called both "the Steve Jobs of investing" and "the philosopher king of the financial universe" (CIO magazine), is a rare opportunity to gain proven advice unlike anything you'll find in the conventional business press. This work is a reference to Ray Dalio's principals & a brief history of how he created them to get where he is now. I throughly enjoyed the first 5 hours of this book. Most everything after seemed redundant. So much so, that Ray often sites the same example for the same points over and over again. These instances took value away from this book's readability and message. This book is not very clear that it serves as more of a reference and that it is intended to be two reference volumes combined. Albeit, the title's subscript mentions Work & Life. This work reads more like a dictionary after you remove the first few hours of Dalio's life story. Ray could've summarized this book into less than a 10 hr read and kept the same quality in the 16 hr behemoth of reiderations. See my recommendation on his YouTube video below. 30 min. This book poses interesting ideas on how to improve life and business results. Obviously Bridgewater stands as a shining example of the success from Ray's points. I find that this melds well with Thinking Fast & Thinking Slow as well as many other jobs on how we think and make decisions. It makes our circle of knowledge a little bit wider on how to meet our goals/be successful. I am not sure I would recommend this book, but I believe it does actively challenge you to improve yourself and your processes in life and business. Principles are useful for helping us get what we want out of life. They help guide us to meet our goals. You could argue they are algorithms that make us the best we want to be when we follow them. We can use a 5 step plan to adjust our learn from our mistakes and become better, thus updating ourselves or our Principles. It's best to write these principles down. It's best to take the opinion of the whole to make decisions, rather than to think your opinion holds more weight. Seek out experts that are more "Believable" than you and weight their advice higher in their strengths. Ray's YouTube videos are a greater & FREE synopsis of this book that cuts everything down to 30 minutes. I'd highly recommend reviewing that first of you're interested in this book. I listened to the entire book to understand the context of the principles. However that led me to become easily bored by the constant repetition of the words "idea maritocracy" and "radical honesty". I would suggest skipping to the second portion of the book when the author explains the life and work principles. Slow in topic and performance. I had to listen to it on 2.0x. Some of this is very interesting, but overall it feels rather verbose and repetitive. 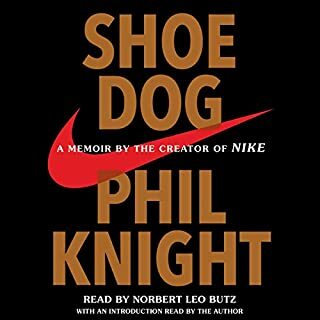 I understood from the outset that this would be quite different from Shoe Dog, but I was hoping for something a little more exciting Than it turned out to be. The first part of the book was the most interesting to me. It focuses on the background of the company and its Ascension. Worth a second read because the ideas at the core of the book seem contrary to what has been my life experience. I'd love to spend a couple of days at Bridgewater or extensively interview some longtime employees to find out if it works as the author suggests. My experience has been that 'Idea Meritocracies' and 'Radical honesty' work great for those at the top, who's positions cannot be threatened because they deem what is valued and right. I've also always been told that attempting to fit market movements to algorithms cannot predict the really important swings. This is because we cannot properly summarize all of the market conditions that existed historically, nor can we know all of the factors that effect markets currently because our information is incomplete. I should be able to tell if his approach works by comparing Bridgewater's performance to that of its peers, but I have not yet done this. The author does make a telling comment early in the book, regarding the computational nature of reality. He states that if we knew we had a perfect description of the current state of the universe, we'd be able to predict what would happen next. This is by no means an established fact. Chaos theory, quantum mechanics and and Heisenberg would probably disagree. I cannot decide if the 'Baseball Card' approach to personnel makes sense. Baseball stats are more objective that job performance or personality types based on standardized tests. I'd love to believe that keeping stats on everyone would help predict future performance, but as Sabermetrics showed, which stats one calculates and how they are weighted have significant impact on outcomes. I'd love to believe that his basic assumptions are correct, but I'm really ambivalent. This book raised many more questions than it answered. If I check the facts and they seem to hold water, I will make changes to my life and thus this would qualify as a five-star book. Having fewer reports (zero), than the author, this book - while very interesting, insightful and practical - comes across as directed towards folks way above my pay grade. CEOs and VPs in particular. Still, as a small cog in a very big wheel, I recommend it for both perspective on what good management looks like, and for straight-up honorable principles to live by. I don't usually give up on a book, especially one being read to me during a long drive when the only other option is silence. But, geesh. Some of the lead up stories to what I thought was the meat forthcoming were interesting but all in all no meat delivered. At least nothing up to the point where I threw up the white hankie and hit the stop button. The advice was generic and lacked the, for instance, this is how you'd apply this. I do know that he knows all about the ins and outs of pork bellies and the crops they eat and weather patterns ad nauseam. And he mentioned many times how he rubbed elbows with the rich and famous. Got it - you're a big deal. if you're building a business or hold a management role in one or even if you're looking to improve your day-to-day life, I bet this book will serve you well. I am a fan of Ray Dalio, the legendary hedge-fund manager. 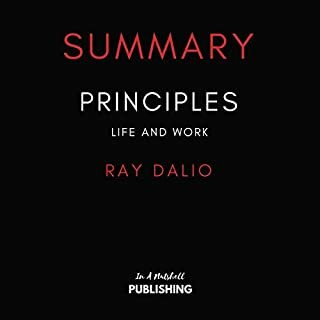 This book has three sections: a bio of Ray, followed by his &quot;life principles,&quot; followed then by his &quot;work principles.&quot; I found his life story to be very interesting indeed. And his &quot;life principles&quot; were excellent, especially the notion of &quot;radical transparency&quot; and &quot;radical openness&quot; and honestly confronting ones problems. So far great. But I got really bogged down in the third section, his &quot;work principles.&quot; This seemed more like a corporate human resources manual than anything one could use in life. Even if you were a CEO or department head of a several hundred person organization, his principles often seemed like cliches. So much depends on what people are charged to do, but he has very little of that. I wish he had spent more time on his investment philosophy. This is where is his genius lies. He is not Tony Robbins. But I did learn from this book to confront my own problems more honestly and directly. I need to go through this book a few more times. 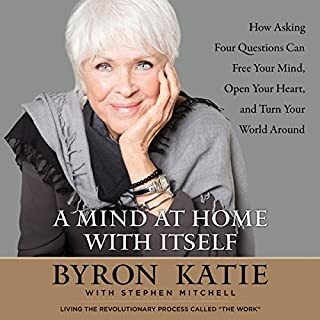 This is a great book to listen to and I found myself drifting off quite a lot thinking how to apply any given section to my life/work. I'll have to go through it a few more times for sure. 1. Understanding why a meritocratic environment works best for my personality has helped me shed imposter syndrome; mask off. 2. Ray defines a valid solution around a psychological dichotomy and process that stems to eliminate a ton of common misconceptions. Supportive ideologies around the power of numbers & group theory, associated with machine learning seem to be a great formula for creating an effective symbiotic ecosystem. If practiced by those who are open to change and constructive criticism. 3. The opening line made me want to get on plane to NYC, take a train over to CT, give Ray a high five, then head back to the concrete jungle to engage in shenanigans. 4. Machine learning (ai) can have a positive outcome as long as its used as supportive component for analytics and behavioral studies. 5. Ai, when done right, has the ability to yield some highly beneficial outcomes around structuring teams and making business decisions. At the same time, it can aid in studying your personal history, train of thought, and help predict what environments are good for personality. 6. It’s good to be open to constructive criticism. 7. Arguments should occur with the intention of arriving at new learnings, not to generate hatred or sense of detachment from the opposing party. 8. Some personalities just don’t work for the environment or culture that you are trying to creates. And in certain cases YOU actually create the high level of toxicity that destroys the environment that you are attempting to create. 9. The goal of learning is to grow and one day help another elevate themselves by sharing your learnings in an intuitive manner. 10. Mistakes should be embraced in the same we celebrate blessings. For in a lost or failure, we have an opportunity to learn and increase our aptitude around problem solving for that specific issue. Bonus: never give up and let your humility serve as the honey that will capture the hearts and minds of your counterparts. Thank you Ray Dalio for writing this! Business and life guidance from someone well read and most definitely experiences.. I truly enjoyed this book and it was particularly beneficial being read by the author. Ray Dalio is a very successful person and it’s excellent for him to share, in full transparency, his Principles that shaped him and Bridgewater. This allows you to gain a very intimate insight on Rays compass north during all important and mundane decisions and can be used a guide for you as you develop your own principles. Of course, this is the premise of the book that to achieve results it requires radical truth with radical transparency. Ray certainly delivers on this and I have begun to implement these within my career and life. I personally didn't find it educational enough. The book feels a lot like a linear autobiography. It talks about major events from the author’s past, including successes and failures the author has learnt from. In the beginning, the book sounded to have been structured well and the author’s writing style seemed quite analytical. The author’s voice is clear and composed throughout. I really liked it when the author states he doesn’t wish to impose his beliefs on the listener and that the advice he’ll be sharing may not benefit everyone. The author frequently speaks about how has helped companies run more efficiently. Most times, however, I struggled to extract value from his explanations unless he gave some sort of evaluation in the end. The author also speaks a lot about his company Bridgewater, its challenges and achievements as well as constantly evolving culture and management. To me it sounded the author was more interested in describing, explaining and at times praising his business instead of looking to provide knowledge to the listener in a direct and understandable way. Four hours in, the book appeared to have become an autobiography of Ray Dalio’s business and career. I decided to return it because the more I listened to it, the less I felt it benefited me. I wouldn’t recommend the book to everyone but if you are into investing, finance and business management, you may really like the book. Not really a general self-help book, but has value if interested in the company. The author is incredibly eloquent and down to earth person. Normal language is being used to explain complexity of company organisation etc. This has to be there with the best book I have consumed in a very long time. So much so that I truly believe that any individual should listen to or read to add value and benefit their lives both personally and professionally. I could not switch it off! 1.3 Don't let the fears of what others think of you stand in your way. Great insights but very, very repetitive. This book contained some really useful insights and offered a glimpse of how the world of financial services will someday look. That said, it was extremely repetitive and dragged on for about 9 hours longer than it needed to. Ray Dalio distilled his mind & Method and that of his company in this book. This book was awesome. Great to hear and listen to someone that has had great financial success talk about principles. I would love to be in Ray Dalio inner circle. So much wisdom and knowledge that you can learn from. I'm developing my own principles now while also noting down Rays. Awesome book and many thanks for writing this gem. The book can be cut to one-tenth in volume without losing much detail. The gist of the book is about how the author sees his organizstion as a machine with people as its parts. The principles given in this regard are blueprints without much delving into reasoning. Mostly useful as a code of conduct and practice for BridgeWater people. I expected much more from this book. really good if you are looking to setup a business with 20-20,000 employees. I personally felt it was a bit culty and didn't like it. Great attempt to distil underlying principles, unfortunately surprisingly irrelevant outside of this kind of organisational structure and area of business. A small business growing into a medium size business may appreciate the exhausting list of principles. Would you ever listen to anything by Ray Dalio again? If he releases his investing principles, as promised, I'd be very interested. Most buyers would be shocked to hear that this 'investing great' does not write much about investing in this very long book. Ray Dalio narrates half the book but a backup narrator is left to churn through a lot of the repetitive sounding chapters. Disappointing because Ray Dalio has presented his organisational principles and held back on his investing strategies. He posits that to emulate his investing success, others should consider following his work principles. This is most likely an illusion of causality. It is more likely a coincidence that he has been wildly successful in picking market moves as well as instituted a certain type of management, not because of it. Ray Dalio trumpets radical transparency and openness to feedback which is why i don't feel insubordinate in labelling his manuscript a misguided and futile contribution. Ray, you're a legend because of your investing, not your management. Just read your mixed Glassdoor reviews. Would you try another book written by Ray Dalio or narrated by Ray Dalio and Jeremy Bobb ? Overall its just too complicated. There are five goals....or is it seven.....or is it ten....each of them has subset bits of info ie goal 1.1, with then further subset info ie goal 1.1a, then further ie goal 1.1a,1-24. I ended up getting the kindle book so I could keep track of it all. That was just as complicated only now I could see the full extent of it. For those who can approach life like an algorithmic trading plan, this book is for you; it's a kind of life algorithm, which, if you can implement it, guarantees success. This is an awesome insight into the struggles mindset and principles of the write Ray Dalio. I was expecting an analytical approach to a systematic approach to investing, but it goes far beyond that. The time and effort he has invested into understanding people blew me away. A way to systematically lead a group of people to success while getting the best out of yourself. Excellent information for great strategies in life and work..great knowledge gained and to implement into daily life. This book is a good use of time. I will definitely listen to it again.